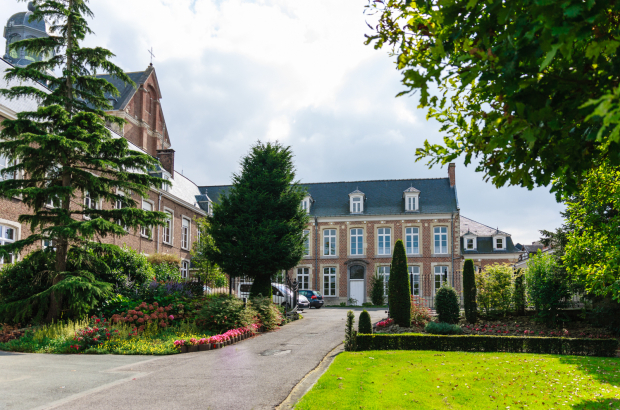 The monks of Grimbergen Abbey, just outside Brussels, want to brew their own beer based on a centuries-old recipe. The only trouble is: They can’t find it. The beer currently known as Grimbergen is produced by mega-brewer Maes. Despite being called an ‘abbey beer’, it has never been brewed by monks or at an abbey. Launched in the 1950s, it simply carries the name of the abbey that formerly brewed beer. Now the Grimbergen monks would like to brew their own beer, based on a recipe long used by the abbey’s monks. The abbey brewery shut down in the 18th century, during the French Revolution. Although they know the ingredients for the original brew, such as the kinds of hops and grains used, they seem to have misplace the recipe. “Four people have been looking for the recipe for a year now,” a spokesperson told Het Nieuwsblad. Although they are not giving up, they could be forced to recreate it. They promise to launch their new beer during their 2020 New Year’s Reception.